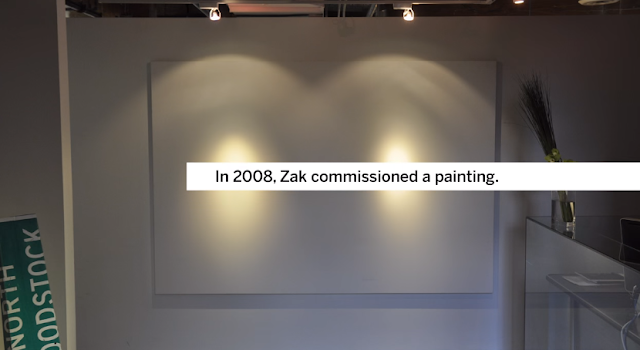 When Toronto based ad agency Zulu Alpha Kilo first opened its doors in 2008, a blank white canvas was displayed in the lobby. Over the past seven years Zuligans and visitors have been encouraged to unleash their inner artist and contribute to Zulu’s communal canvas. Every single stroke has been captured on a stop motion camera creating a mini-documentary that shows the development of the collective art piece. There were over a 100,000 images to sift through. From celebrities to a future prime minister to hall of fame ad legends and new clients, hundreds had contributed to the canvas. The only person who had never painted was Zak Mroueh, Zulu’s Founder and Chief Creative Officer. To mark Zulu’s seventh Birthday, Zak himself added to the painting for the first time. Zak’s contribution wasn’t the typical abstract colourings, happy faces or icons that the painting gathered over the past seven years – it was a unique and shocking addition. He painted the whole canvas back to white. Although the official art is gone, it now lives on as the film. The Zulu lobby now features a pure white canvas again. But now the 7-year video is projected onto the canvas for all visitors to see.